The legal team here at Olsen Law Offices fight for the people of San Diego. We believe in providing strong legal counsel for the injured, the wronged, and their loved ones. By providing expert legal counsel we hope that justice can be achieved. Lawsuits over auto accidents and collision injuries tend to hold individual drivers accountable for their actions. But what happens when an auto maker may be responsible for causing harm? With that in mind, let's consider the issue of defective airbags and what can be done legally. We expect airbags to protect us from the brunt of a major collision. 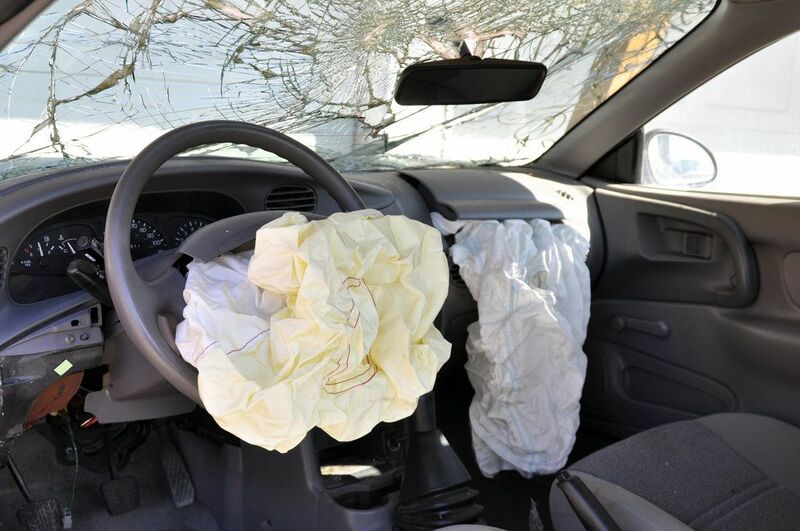 While it's unreasonable to think an airbag guarantees you will not be injured, it is not out of the question to assume that an airbag will help reduce the severity of the injuries from an accident. Unfortunately, airbags can malfunction or simply fail to function entirely. In these cases, you may be injured severely, or the airbag may actually contribute to the injuries from the accident. Complete Failure for an Airbag to Deploy – In these instances, the airbag or airbags in a vehicle simply do not go off during a collision. Early or Late Airbag Deployment – When an airbag deploys too early or too late following a collision, it misses that crucial split second where a driver and/or passenger can be protect from the brunt of a collision. This split second can literally mean the difference between life and death. Airbag Deploys without a Collision – In some cases, an airbag may deploy completely by surprise without a collision at all. If the vehicle is operating at the time, this can startle a driver and cause that person to lose control of the vehicle. In addition, sometimes a weak collision can trigger airbag deployment, which is an unnecessary given the speed and force of the small impact. Airbags Burst Upon Deployment and Inflation – Airbags should not be overinflated, but there are times when the rapid deployment causes and airbag to become too full. These airbags may burst, causing major cuts and injuries to a motorist and simultaneously failing to prevent the brunt of a collision. Burns from Airbag Deployment – We see a number of chemical burns and abrasion burns occur as a result of the skin touching an airbag during deployment. Sometimes these burns can be quite severe. Given all of the dangers outlined above, it is crucial that auto makers test and ensure quality in their safety features. This means making sure that airbags deploy properly and with the correct timing. When a company does not put their products through proper safety testing, they should be held accountable for injuries. Similarly, if an auto maker puts out a vehicle and then learns about a defect, a recall should be issued as soon as possible in order to protect people on the road from harm. Product liability lawsuits can be complicated given the business interests involved and the issue of proving an auto maker was responsible. Having a skilled attorney on your side will mean having strong counsel every step of the way. We can work on the evidence and parsing the law, giving you the peace of mind necessary to focus on healing and returning to life as normal if possible. If you or someone you love has been injured as a result of a defective airbag, be sure to contact a skilled product liability and injury lawyer today. The legal team here at Olsen Law Offices will help you receive just compensation for your injuries and other losses.